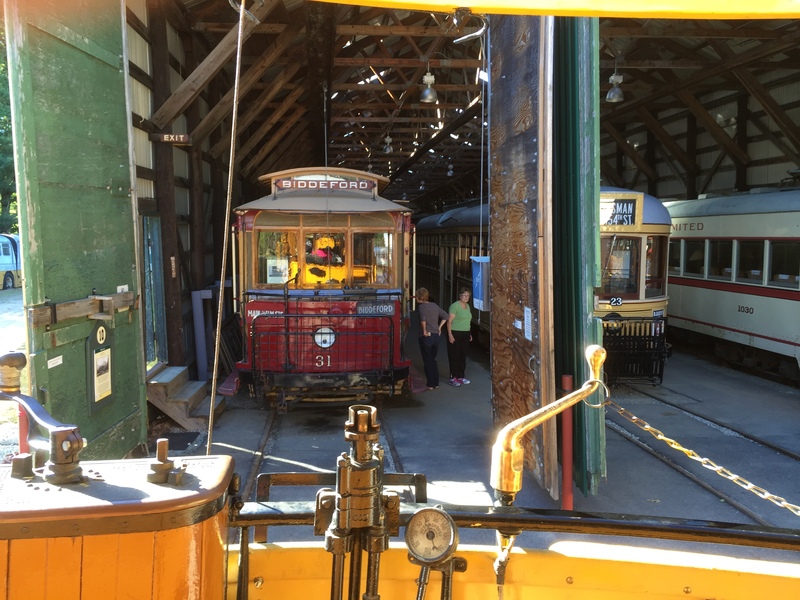 The Seashore Trolley Museum in Kennybunkport, Maine, has the largest collection of trolley cars in the world. 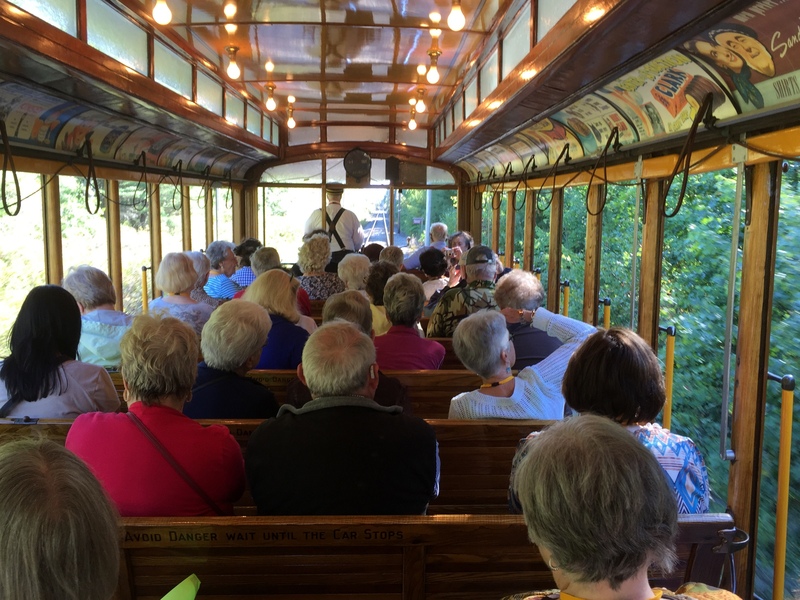 It began in 1939 when a group of street railway enthusiasts purchased a classic trolley car when the streetcar service was nearing its end. Eventually, more cars were added to the collection. 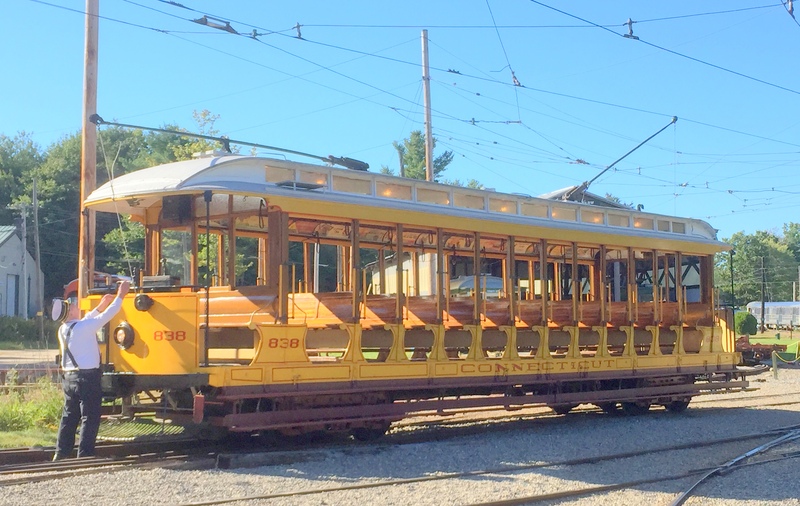 Fortunately, New Haven, Connecticut, had saved and maintained several of the open trolley cars to service Yale Football games until 1948 and the museum has acquired four of them. 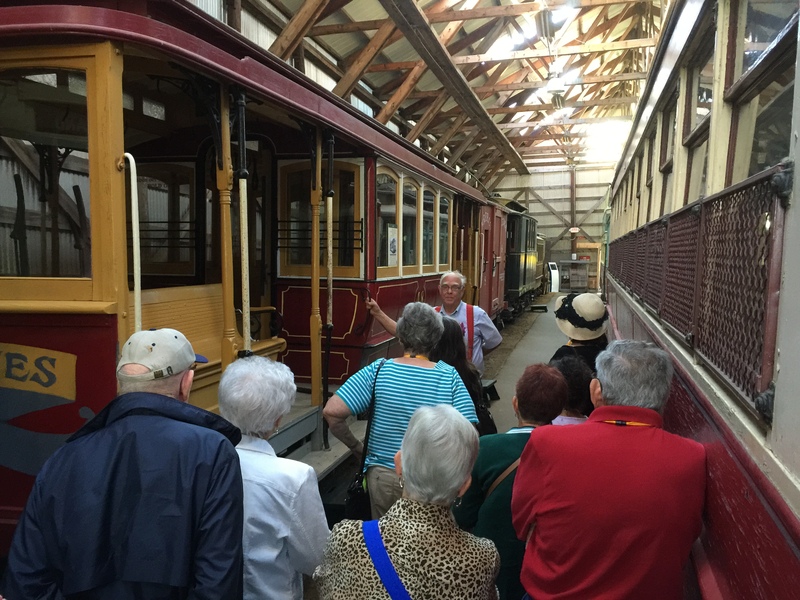 Our tour began when we boarded one of the restored Yale trolleys for a narrated ride of the trolley yard. A bus tour group had arrived just before us and they were all on the trolley. There was room for us so we tagged along in the back seat. We couldn’t hear half of what the tour guide was explaining because of all the talking to each other some of the seniors were doing. There was a lot of “shushing” but nobody told them to shut up and listen! Oh well, we enjoyed the ride. At one of the car barns we got off the trolley and went inside to see some of the restored cars. There was quite a variety. 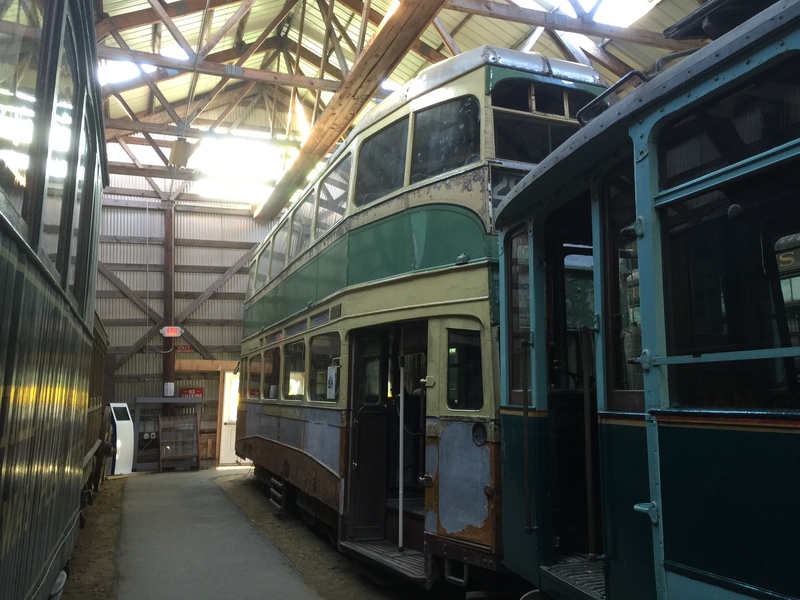 One of the more interesting trolleys was a double-deck tram from Glasgow, Scotland, UK. 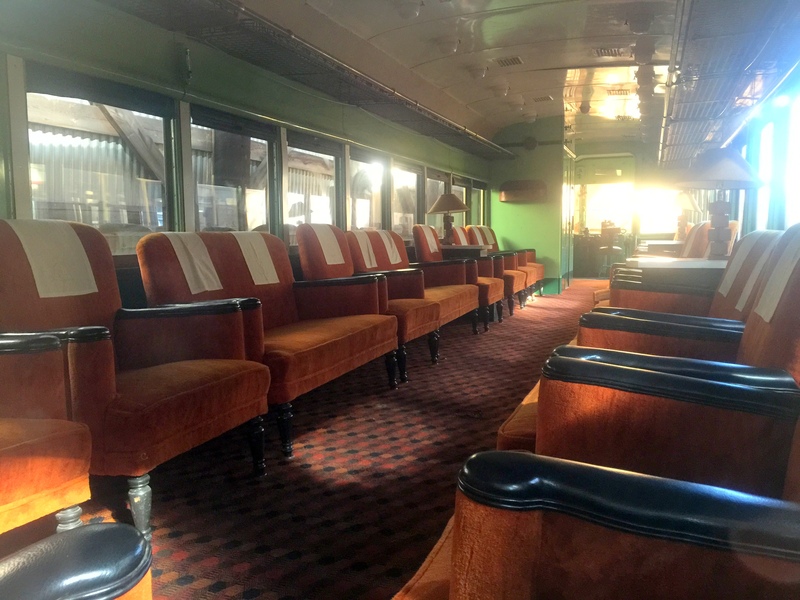 It was built in 1939, retired from service in 1963. 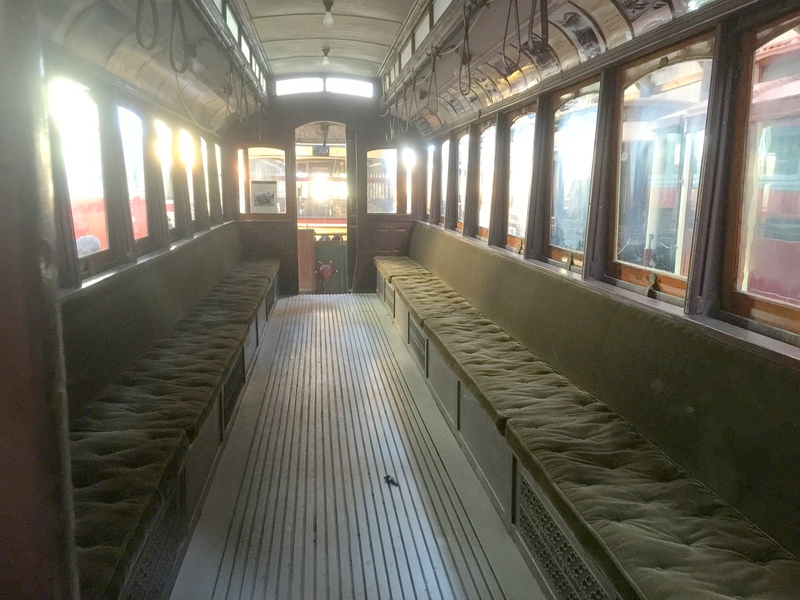 The double-decker had one floor of plush and leather upholstered seats. 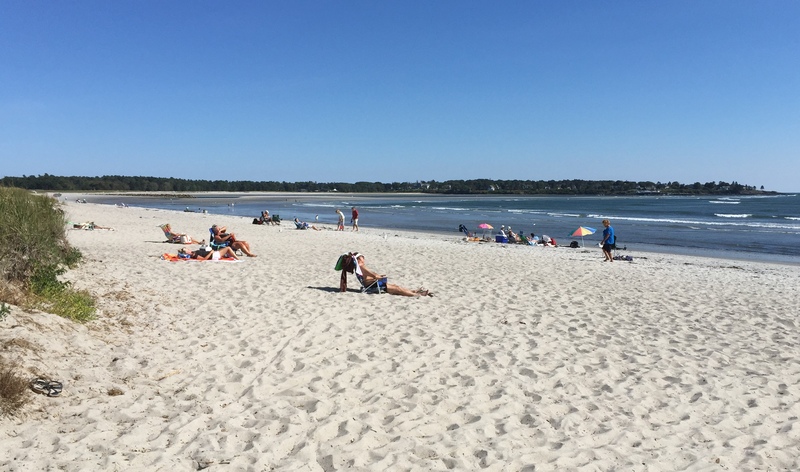 It came across the sea to Boston Harbor in 1963 and was welcomed by a gathering of the Order of Scottish Clans; bringing a little bit of Scottish culture to the coast of New England. 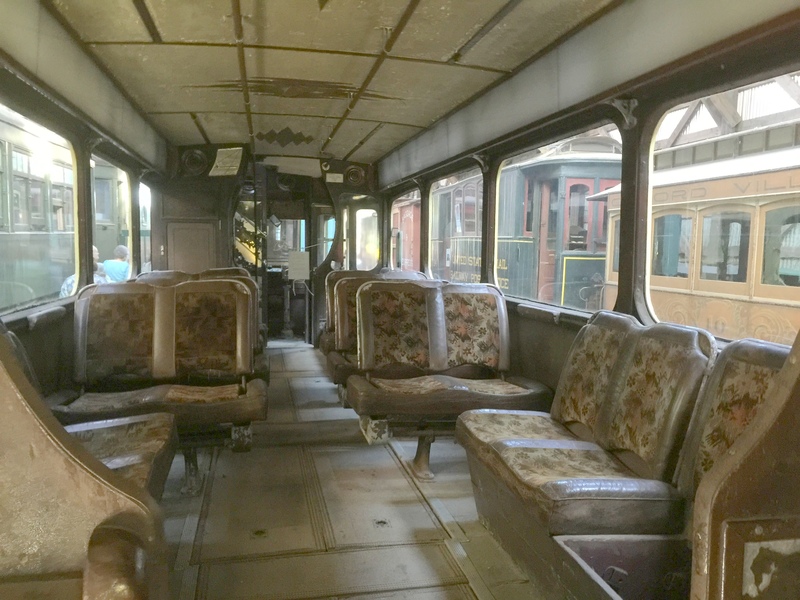 Every trolley or tram had a different interior, ranging from wood benches to upholstered easy-chairs. Today we went back to the beach. This time we walked out on Pine Point Beach, just up the road from Old Orchard Beach. There were some people there, but not very many. I’m sure it must have been packed this summer. It was such a beautiful sunny day, I could have stayed there all day. 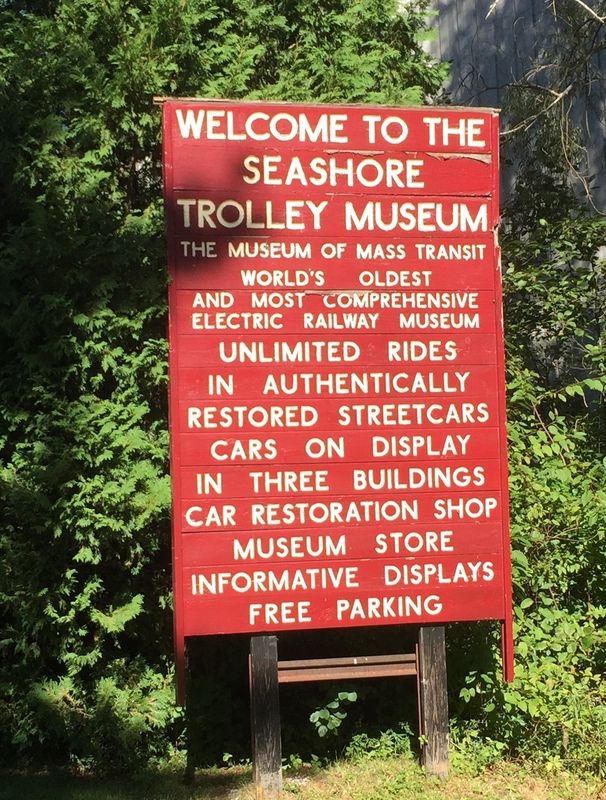 This entry was posted in Daily Post, Kennybunkport ME, September and tagged Beaches, Museums, Pine Point, Trolleys. Bookmark the permalink. Great to hear from you! Where will you be this winter?